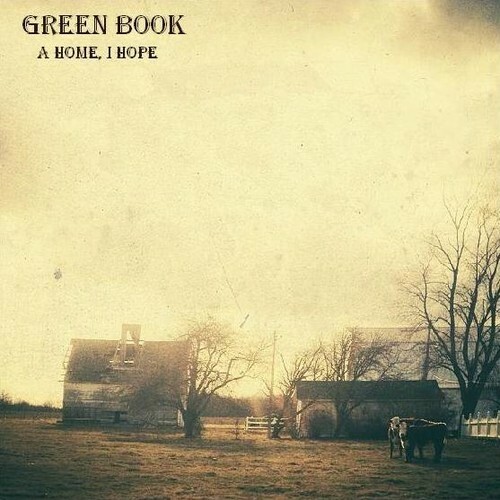 Review Green Book's New EP: A Home, I Hope - Crazy Wicked Awesome! Here’s my review of Green Book’s new EP! A Home, I Hope. Some of you may remember the time I took a look at Drake Sitarz. Well guess what? He’s back and this time he brought a band! Green Book! Green Book is, well, Green Book. Featuring Wil Sitarz on Guitar and Lead Vocals, Drake Sitarz on Banjo, Backing Vocals, Richard Shell has the Drums, Faith Perkins rocking the Accordion, Ukulele, Backing Vocals, and Mike Stuart on Bass.They’re an interesting blend of the raw fidelity that defines indie music with that twangy feel of folk music. It makes for a nice mellow combination. A Home, I Hope is a far cry from Clyde Machine’s dubstep or even Elle O’Bryan’s haunting solo work but it’s really enjoyable even if, like me, you aren’t really a fan of such things. A Home, I Hope is seven tracks of acoustic mellow and melancholy bluesy folk, with a running time just shy of a half hour. Don’t let its brevity fool you, it’s a solid EP. Listening to A Home, I Hope you can really hear the twang of the banjo and it blends really well without sounding out-of-place, which is good because what sort of band calls itself “folk” without a solid banjo? Unfortunately, A Home, I Hope lacks some of the perkiness found in Green Book’s live work, this is more of an observation than a criticism, if you want to check it out for yourself, check here. All in all, I enjoyed A Home, I Hope and I look forward to hearing more from Green Book in the future! If you want to show Green Book some love, you can buy A Home, I Hope on iTunes and if you feel you need to try it before you buy it, you can listen to the entire EP on Green Book’s Sound Cloud. Don’t forget to show them some love on Facebook too!